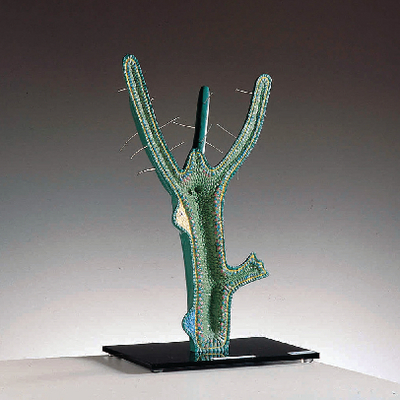 This green hydra model features exceptional detail, including visible nematocysts. Colorfully illustrated and enlarged, the median longitudinal section clearly displays the external and internal structure, budding, spermary and an ovary. This model is mounted on a base.